Wake up and smell the covfefe! 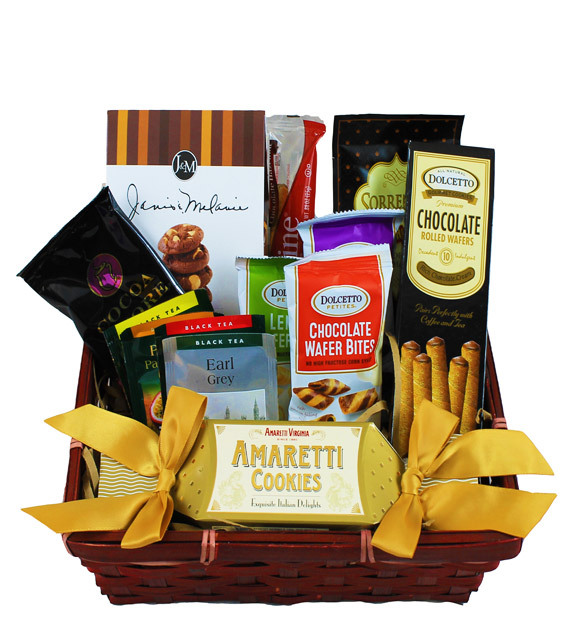 Show someone you care with our delectable Cookie & Coffee gift basket. Includes a delicious assortment of gourmet tea and coffee, along with some of our favorite cookie delights, perfect for dipping! Comes in a brick red gift basket. As the brisk fall air settles in, warm yourself up with some tea and treats! Basket color may vary regionally and depend on availability. Wreath available while supplies last. Remove the cellophane or clear wrap upon receiving the basket. Candy may contain nuts and allergens. 09/11/2017 10:17AM Ordered for office parties and arrived in time. thanks.— Ben M.